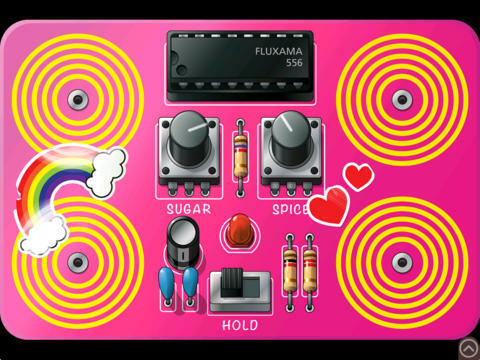 To start making sounds with the app, your body has to complete the circuit between the touch pads. Pressing the pads in different combinations will generate different frequencies and modulations. By lifting a finger or sliding the hold switch you can create rhythmic patterns of noise. Move your fingers to change the resistance between your finger and the pads, which changes the frequency and beating of the tone. On each board the knobs change the quality of the tone in different ways.